Large 36 in. 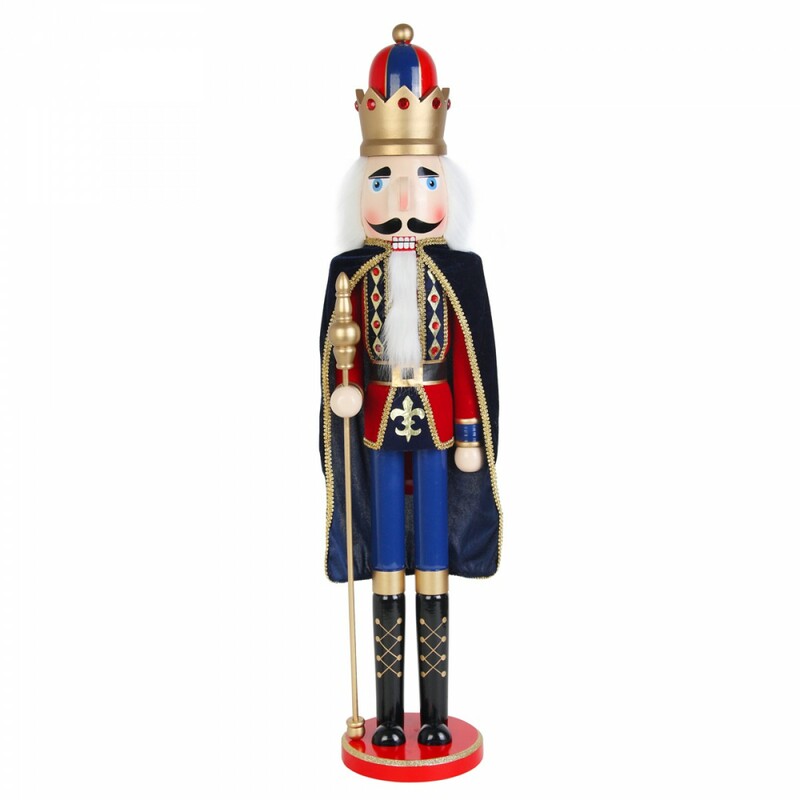 Wooden Nutcracker Standing at attention, dressed with black cape, red velvet fabric jacket,painted blue pants and black boots, wearing a golden crown and holding a golden Staff. He is mounted on a painted, red base. 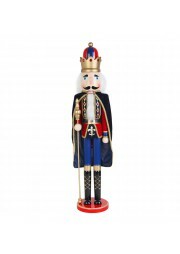 Accents include gold trim, cloak, glitter and jewels. © 2019 Jeco, Inc. All Rights Reserved.